March 7.2016 On the 3rd and 4th of March I attended a conference at the Technical University in Delft called Constructing the Commons. The conference looked at the role of architecture for urban commons, something I have just started working on. With Commons Network we have up to now mostly focused on knowledge commons in relation to European policy. Urban commons, architecture and city level policy are a bit of a different world- yet a very critical and refreshing one. Our current project, supported by the European Cultural Foundation, came to life through conversations the architecture & artist collective RaumLabor and focuses on Amsterdam & Berlin. We realised there is a need for legal tools and policy strategies to both facilitate commoning in the city as well as to protect the social value created. 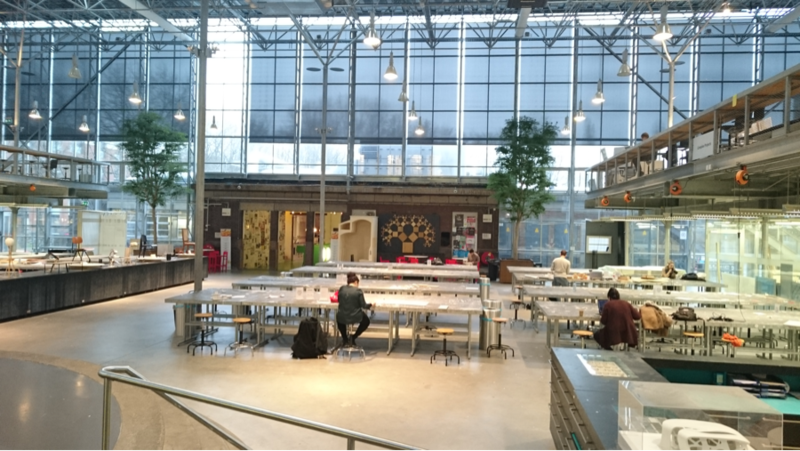 The conference took place in the awe-inspiring faculty of architecture of Delft’s Technical University. How magnificent it must be to spend one’s student years here in large spacious areas with cool design and abundance of natural light coming in. Their coffee corner café would attract any Berlin or London hipster in a heartbeat. 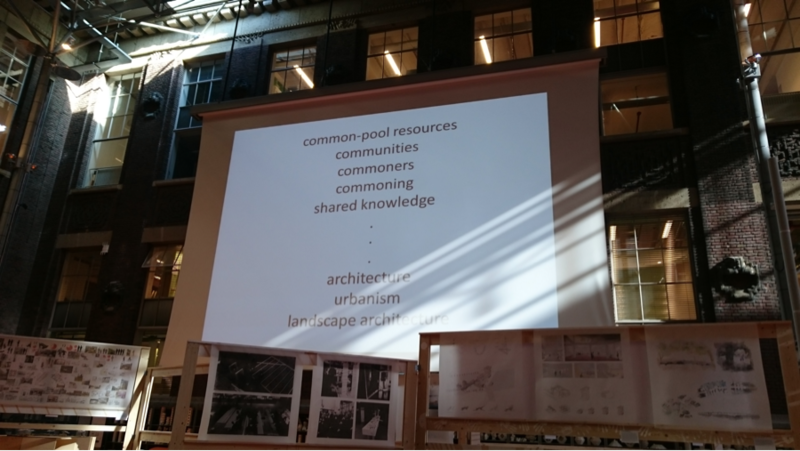 The questions driving the organisers of the 2 days of talks and conversations with international speakers such as Richard Sennett, Margaret Crawford, Yoshiharu Tsukamoto of Atelier Bow-Wow and Aetzel Griffioen, were: What does the discourse of the commons mean for architecture? How can design or architecture unlock the capacity of commoning? These questions immediately compel us to think about the definition of commons, of which there are various, also due to the fact the concept is applicable in so many realms. Professor Tom Avermaete gave an introductory presentation running through these different approaches and definitions. Common pool resources / Communities /Commoners / Commoning /Shared knowledge. Ir. Hans Teerds of TU Delft presented an inspiring project the faculty had undertaken in the light of the commons discourse. 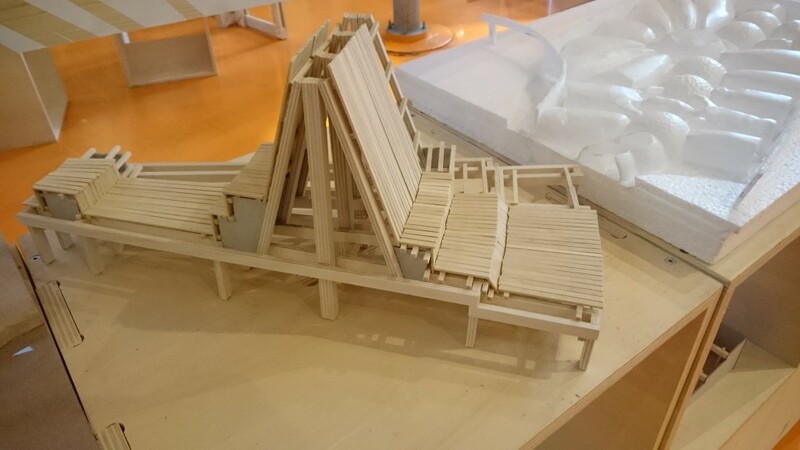 He oversaw a group of master students that developed projects in Amsterdam Noord that could unlock the potential for commoning. Here commons are taken in its broad definition, referring to relations between people coming together and whose activities create social value. When you think about the role of architecture, the approaches to commons as a practice and the idea of commoning are perhaps the most relevant. One project called ‘Elysion: From Barrier to Bathhouse’ by Jaap Le ‘’transforms an elevate road and T Junction from physical barrier into a central space, commonly shared by the surrounding neighbourhoods. The soil beneath the road is used to create concrete shell structures offering new spatial experiences that easily suit the function and atmosphere of a public bathhouse.’’ Another project explored incomplete design, which leaves the opportunity for people to co-construct – to develop their own space. It was heartening to see the similarities with our own approach in the understanding of the potential of the commons discourse by these architects. During 2 days we explored the potential role of architecture for the commons, the relationship with the concept of public space, social justice, identity politics, metaphysics and political change. Finally, it was a testimony to a great interest and eagerness to explore this certain understanding of people in relation to each other and their surroundings. This in combination with the political dimension of appropriating space for a non-market function in our current neoliberal era. This discourse is starting to find wings in places such as this faculty and has obviously enthused and inspired students. The last has definitely not been said about this- or built for that matter! I look forward to the next chapter.